Open-air theatre, built 1929 for the "Exposicíon Internacional de Barcelona" exposition (as a modern adaption of a Greek theatre, losely based on the Epidauros Theatron). Since 1976, used for the "Festival d'Estiu de Barcelona " summer festival, also known as "Festival Grec". 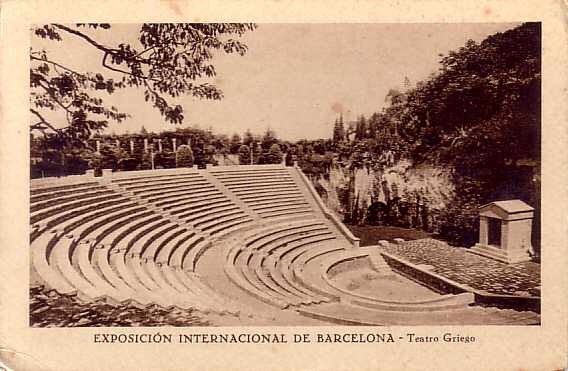 Front Text: "Exposicíon Internacional de Barcelona - Teatro Griego"